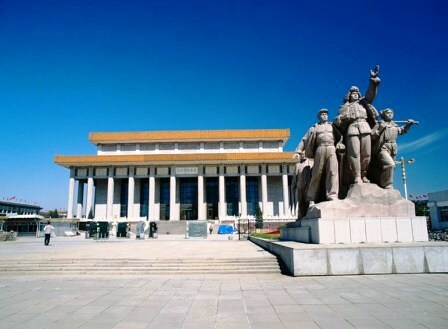 With the towering Monument to the Peoples Heroes at the center, Tiananmen Square has the magnificent Tiananmen Tower in the north, the solemn Mao Zedong Memorial Hall in the south, the National Museum of China in the east and the Great Hall of the People in the west. Surrounded by these lofty buildings, the Square looks most splendid and majestic and attracts many tourists every day. In the center of the Square stands the Monument to the Peoples Heroes, which commemorates the martyrs who devoted their lives to the Chinese people. It reaches 37.94 meters (124 feet) which makes it the biggest monument in Chinese history. The body is made of hardy granite and is surrounded by white balusters. Engraved is the epigraph written by Mao Zedong, the founder of Peoples Republic of China. Eight relieves depict the crucial events which took place in modern times, showing a part of the centuries-old history of China. 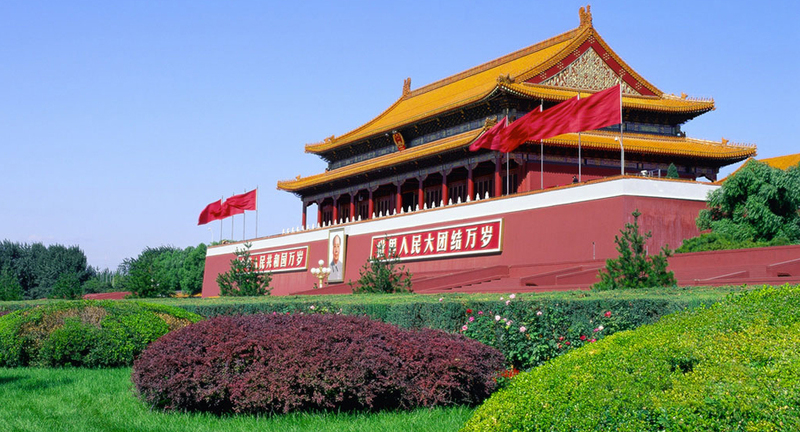 Tiananmen Tower in the south was built in 1417 during the Ming Dynasty (1368-1644). During this dynasty and the following Qing Dynasty (1644-1911) it was where proclamations were issued to the whole nation. The common people were prohibited from entering the tower, but now tourists with tickets are permitted to climb it. It has five arched gates and nine principle hall columns. With the delicately carved white marbles on its base and yellow tiles on the roof, the tower is quite resplendent. Under the tower flows the limpid Jinshui River, across which seven exquisite bridges are perched, named the Golden Water Bridges. 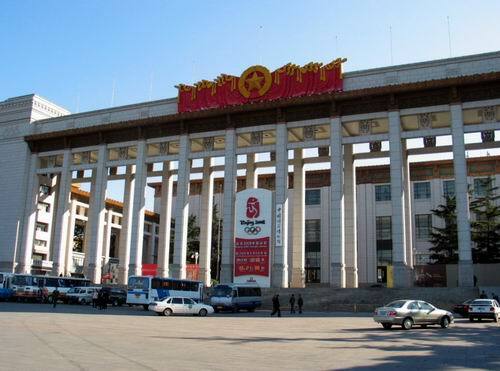 In the south of the Square is the Mao Zedong Memorial Hall. Mao Zedong, the first chairman of the Peoples Republic of China (PRC), is greatly admired by the Chinese People. The hall was built in 1977. It is divided into three halls: the main hall, the north hall and the south hall. The remains of Mao Zedong are laid in a crystal coffin in the main hall. From the exhibit in the north hall, you can learn something about Chairman Mao, Zhou Enlai and other founders of the state. While visiting the main hall, it is necessary to observe a respectful silence. In the east of the Square is the National Museum of China which is a great treasure trove. This museum was officially opened in 2003. 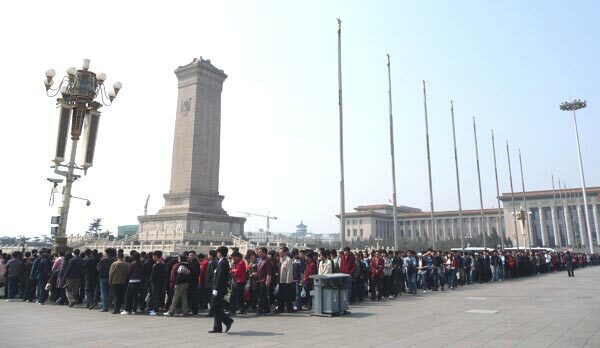 Its predecessors are the National Museum of Chinese History and the National Museum of the Chinese Revolution. 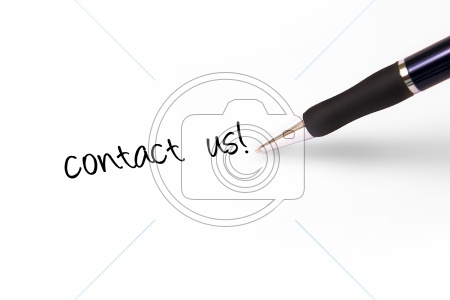 It is a comprehensive museum with an emphasis on Chinese art and history. The National Museum of Chinese History has more than 3,000,000 precious articles which provide a vivid portrayal of Chinese history. In the National Museum of the Chinese Revolution there are displays of over 4,500 articles, including literature, pictures, drawings and sculptures. These depict the peoples revolutions and movements to save China, which happened after the Opium War in 1840. In the west of the Square is the Great Hall of the People which was built in 1959 and occupies a construction area of 170,000 square meters (42 acres). 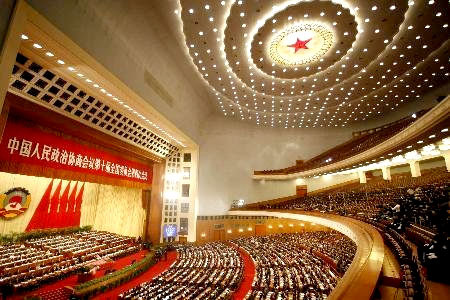 It is so called because the National Peoples Congress is held in this hall. When entering the building you will see the central hall which is decorated with white marble columns and crystal lights. At the back of the hall is the great hall which can hold 10,000 people. The banqueting hall in the north has 5,000 seats and grand banquets are conducted on important occasions. 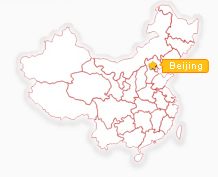 In the south are the offices of the National Peoples Congress Standing Committee.